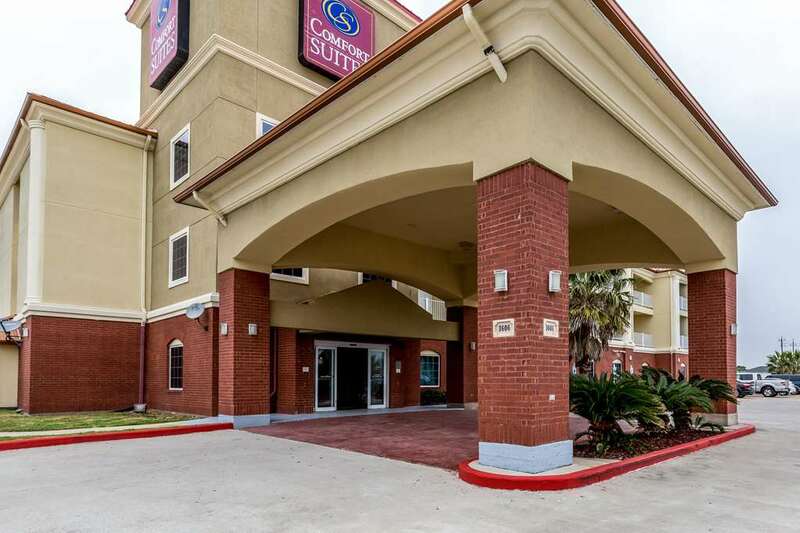 Rest and refresh at the 100 percent smoke-free Comfort Suites hotel in Galveston, TX. We are near Moody Gardens Convention Center, TX City Dike and Schlitterbahn Waterpark. Amenities include free WiFi, free parking, free hot breakfast, fitness and business centers, bar, laundry facilities and an outdoor pool. Behind every great day is a great night in your suite, which gives you 25 percent more of the space that you need and has a refrigerator, microwave and recharging device with AC and USB outlets. Also, earn rewards including free nights and gift cards with our Choice Privileges Rewards program. Must be 21/older to check-in, valid ID required. Shuttle service available for Galveston Cruise Terminal, charges apply.